The very first step is to go to Batch's dashboard and create a new iOS app. Once your app is created, you will need to download a .p8 file and upload it to Batch's Dashboard. .p8 files (recommended) : Valid for all the apps added to your Apple developer account. 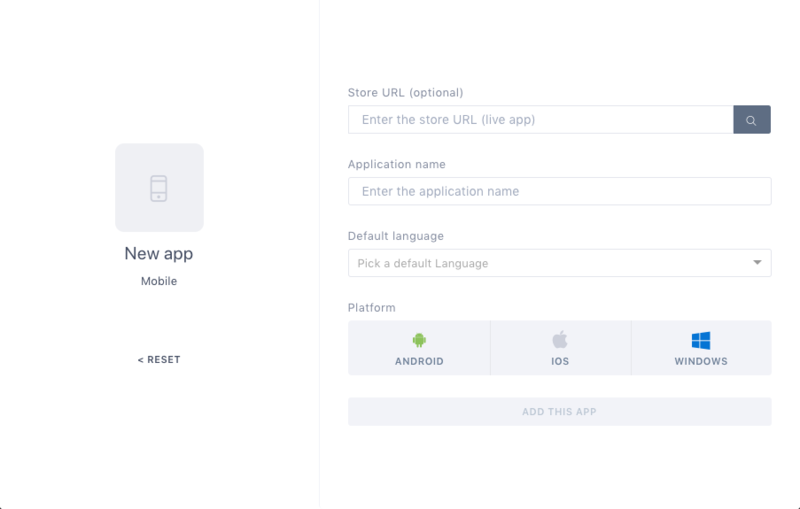 You will need to specify the Application Identifier (App ID) or the Bundle ID of your app on Batch's dashboard. .p12 certificates: Generated for a unique App ID and are only valid for one year. If you need a .p12 certificate, please follow these instructions: Generating a .p12 certificate. 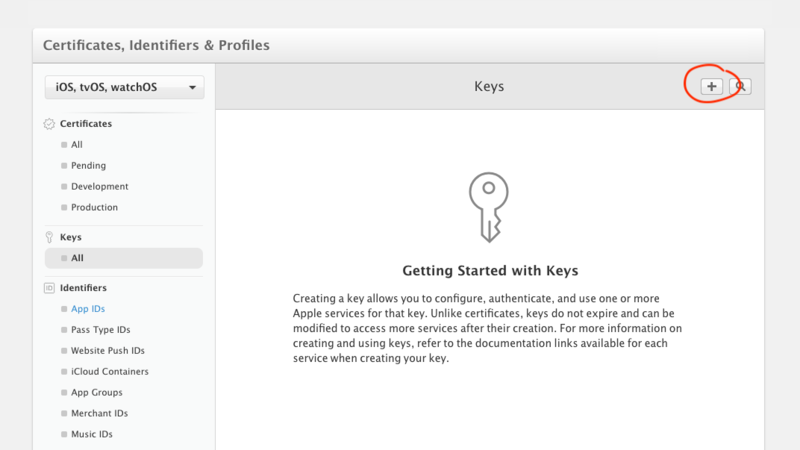 Head to the Apple Developer Member center, then go to the "Keys" menu and add a new key. 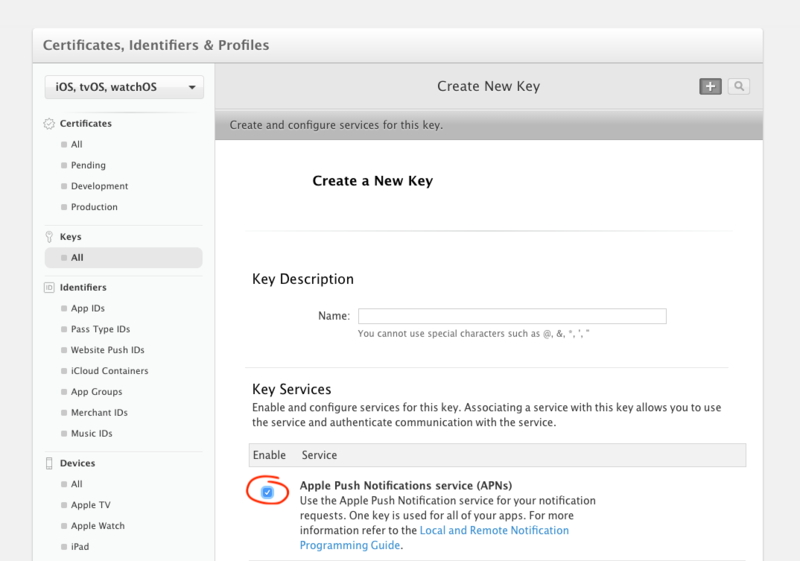 Give a name to your key, tick the "Apple Push Notifications Service" box and download the .p8 file. Now go to Batch's dashboard → ⚙ Settings → Push settings, and upload your .p8 file. App ID / Bundle ID: We recommend you use the bundle ID you will find in Xcode. You can also use the app ID available from the Developer Console here. Team ID: The team ID is also available from the Developer Console here.